Thanks Balaji, but the Purchase Request adds directly without going into Approval Stages. 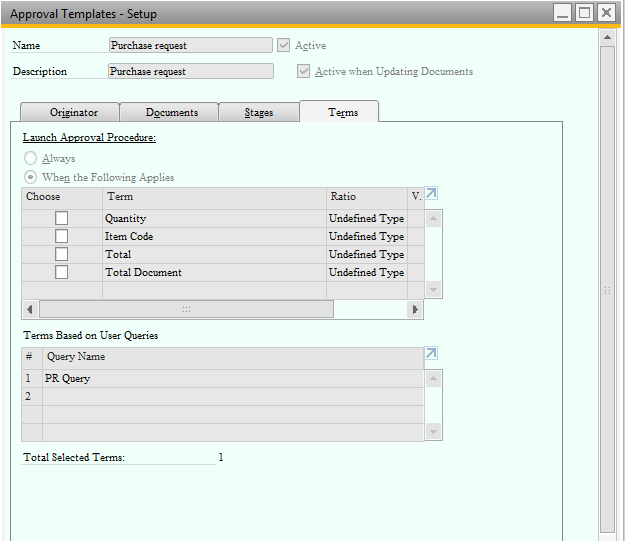 I tried this query earlier with Purchase Order with OPOR table but it did not work for Approval in Purchase Order also. Please note approval procedure will work only for header level not at row level. But approval procedure will work, if you document have only one row.